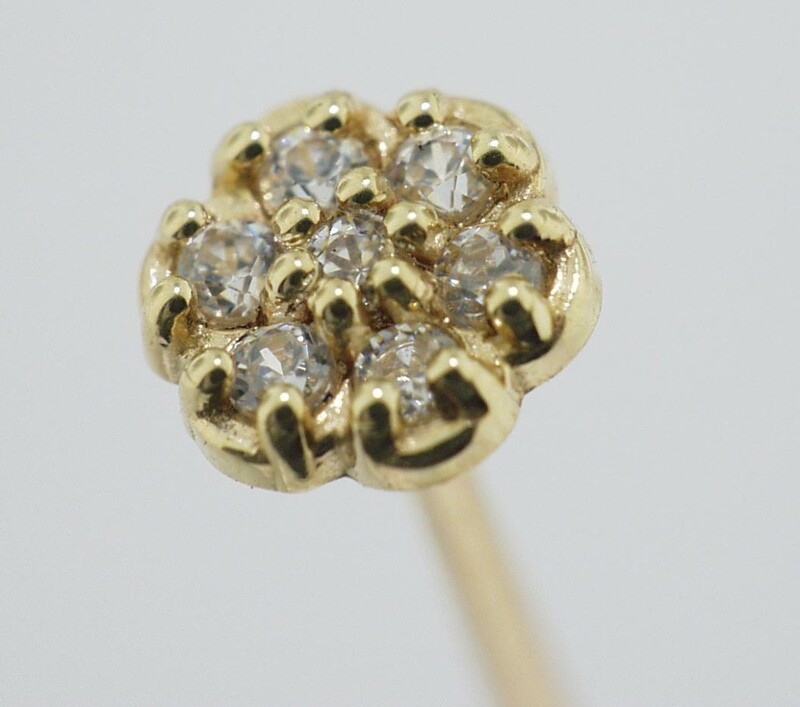 This setting is a cluster of seven 1.3 mm stones arranged in a flower shape. Overall size is 5.25 mm. Available in 14k white or yellow gold.